Working on the CS First team, I love finding ways to get more kids involved with computer science at a young age. Though when I was a kid growing up in Miami, I spent most of my time off computers and on the water, admiring the natural beauty of the surrounding beaches and mangrove forests. I focused my studies and spare time on the environment, and how we could protect and preserve the habitats and creatures that made my home so special. I didn’t quite understand how coding and technology would further my goal of protecting the environment until I got to Google, where I’ve learned that computer science is actually a critical tool for conservation and sustainability. 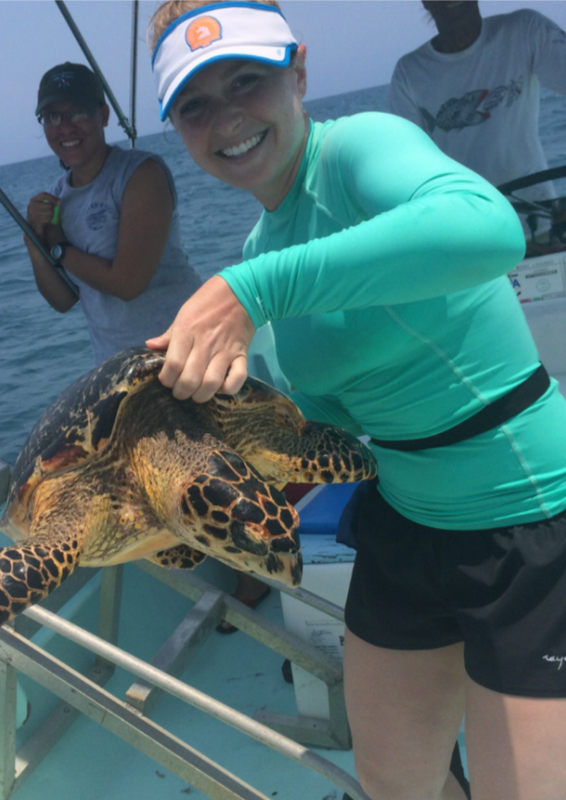 Sarah has a BA in Environmental Studies from NYU and is pictured here in Belize on a sea turtle tagging and monitoring project with Google. To help more kids understand the connection between coding and the environment (and to celebrate Earth Day!) we’re teaming up with World Wildlife Fund (WWF) to invite students in grades 4-8 to create their own Google logo. Using Scratch, a block-based programming language, students will learn basic coding and stretch their design skills as they express their own ideas for protecting the planet. 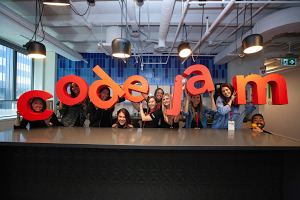 To get ready to create their logo, students can watch videos to learn computer science concepts like sequencing and loops, practice analytical thinking and use creative problem solving skills. Those concepts and skills are the building blocks for developing technology that organizations like WWF and Google use in their efforts to protect the planet’s animals and natural environment. In fact, the themes of the logo activity—Sustainability and Wild Animals— were chosen to reflect those efforts. I have long admired WWF’s mission to conserve nature and reduce threats to animals all over the world—they recently launched Wild Classroom, a free resource for educators to teach their students about the natural world. And as a Googler, I’m proud of the work our company has done to protect the environment: we’re committed to renewable energy adoption and energy efficiency, and have built free data tools to enable widespread solutions to issues like deforestation, overfishing and air pollution. My hope is that this logo activity will show kids that learning to code can also mean protecting the environment. And this activity is for teachers, too. 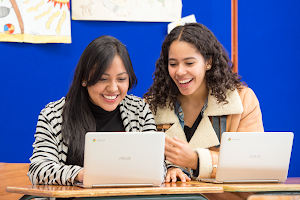 Along with CS First’s full curriculum, it gives teachers the tools they need to introduce computer science to students for the first time, as well as nurture students’ interest in computer science.